Glenna Earle Reports on her Travels in British Coloumbia. Hi Stan & fellow shufflers. 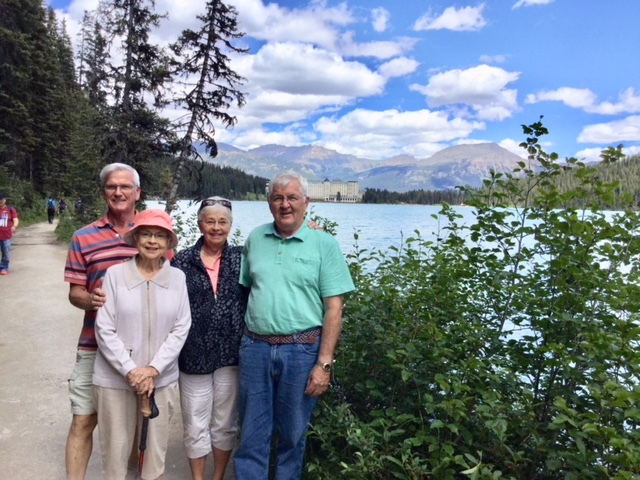 David and I arrived in BC, the last westerly province of Canada last week, and visited Vancouver Island with my cousin and husband. It is without a doubt, a must while seeing BC. Flew to Calgary this week. 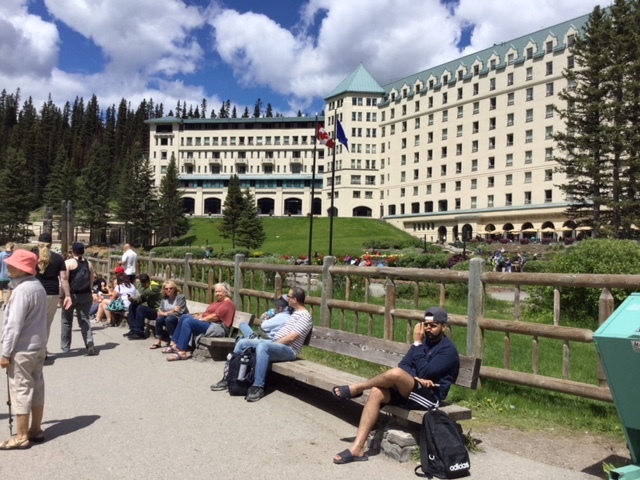 Yesterday we took a ride with our friends to Lake Louise and Banff town to see the mountains. It has been almost 20 years since our last visit to the west. 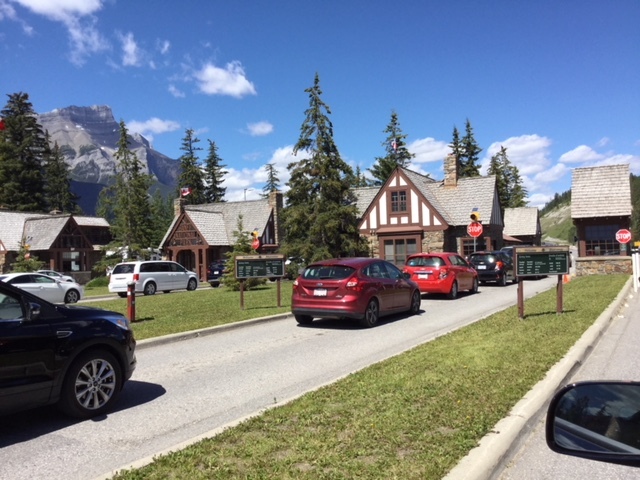 Lots of tourists and rooms are very difficult to secure at this time of year….also parking! 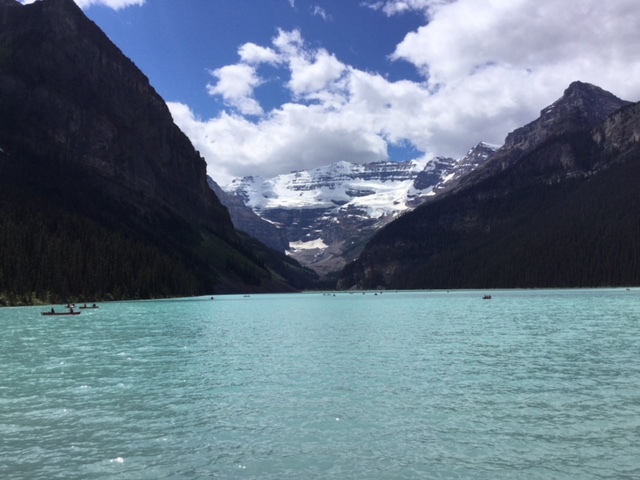 But when you gaze upon these majestic Rockies it is not hard to realize the attraction. 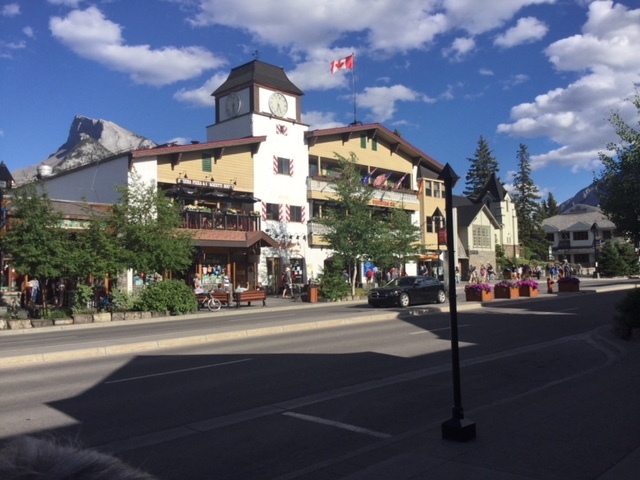 Had dinner at a very authentic Irish Pub in Banff. Apparently it had been disassembled and reassembled exactly as it had been in Ireland….called St James Gate. Felt very Irish and our server definitely sounded as if she had just arrived from across the pond. 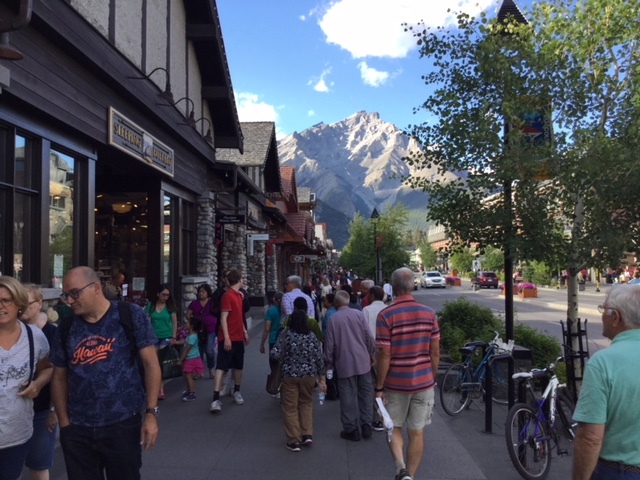 A few pics of the town follow.The weather has been spectacular since our arrival and is predicted to continue throughout the week of the ISA in High River. We are getting anxious to make our way down to the site of the tournament which will happen Sunday for us. In the meantime, safe travels everyone while making your way to the beauty of our Canadian West. Oh yes, and the Calgary Stampede is still going on until Monday I believe. I have seen enough chuck wagon races! Sincerely, Glenna Earle. 2018 0713. 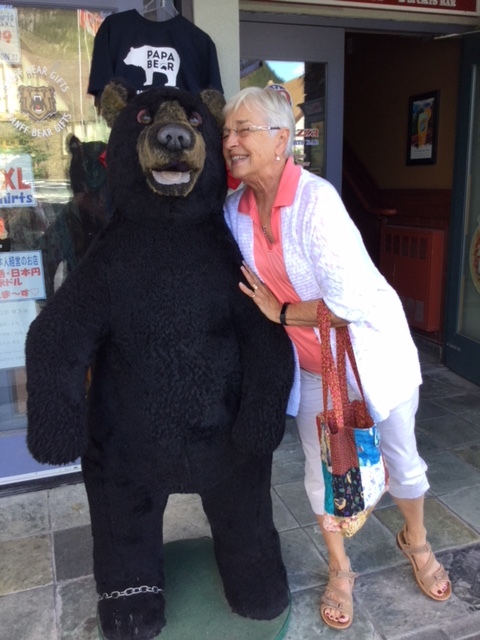 Stan Speaks: Thank You Glenna!! To expand, click on any pic. 1 Response to Glenna Earle Reports on her Travels in British Coloumbia. Safe travels and we will see you in High River.